Mercy Gift Shop volunteer Janet Jones assists Janice Neale, of Anderson, with her purchase during the gift shop's Christmas Open House. Items in the gift shop will be 20 percent off through Sunday, with 50 percent off Fall merchandise. The sale continues Saturday from 10 a.m. to 6 p.m. and Sunday from 1 p.m. to 5 p.m. 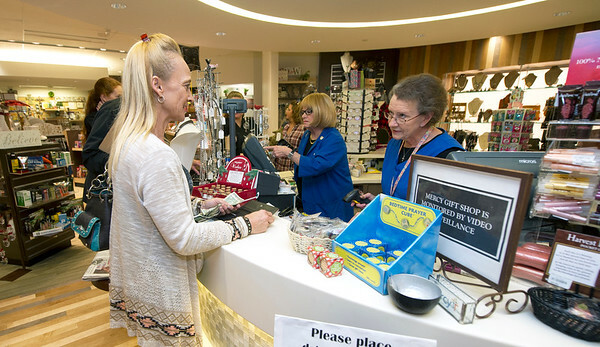 Proceeds from the shop benefit programs throughout the hospital and the community.